Class of 2017 valedictorian, Christa DeCoursey, and salutatorian, Noah Kamerling, will miss their close-knit HMHS community. 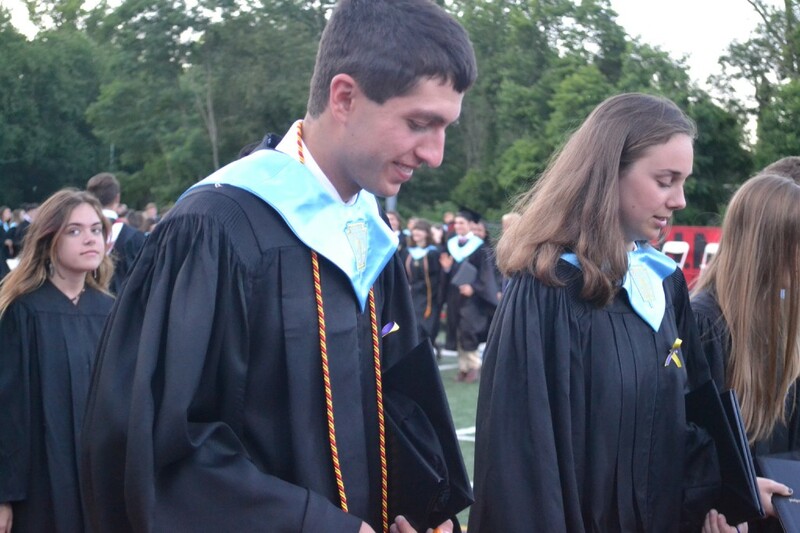 For Christa DeCoursey and Noah Kamerling, their time at Haddonfield Memorial High School has been more than just a learning experience. The last four years for the 2017 valedictorian and salutatorian have been about creating relationships with their fellow classmates and teachers. 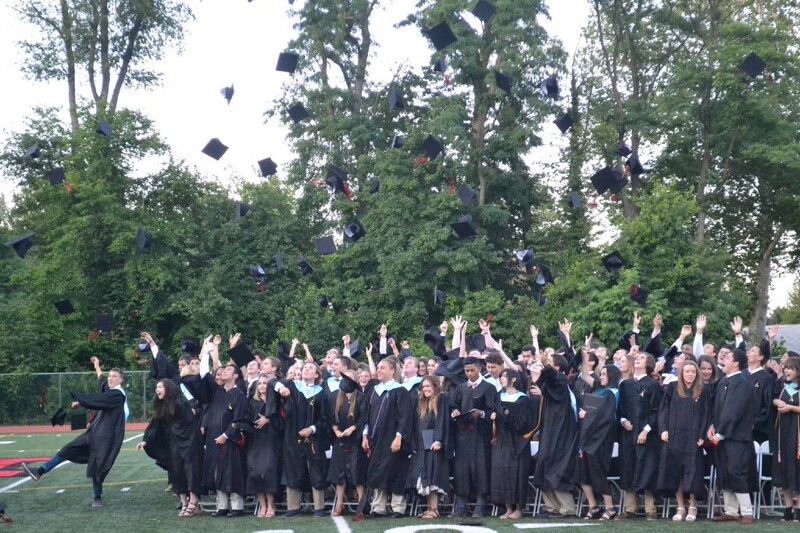 DeCoursey, the Class of 2017’s valedictorian, said looking back on her time at HMHS, what stands out is the bond students formed in classes. Individual students in a classroom transformed over the course of a the school year, DeCoursey said. “We turned a bunch of random math students into a family,” DeCoursey said affectionately. Looking back on her time, this sense of family is what DeCoursey said she will miss most in college. She said at HMHS, students become close not only with one another but with their teachers, who give their students individual care and attention. Along her educational journey, DeCoursey said her teachers fostered her love for science and math. She said taking Advanced Placement science and math courses was challenging at times, but ultimately, her teachers made the experience rewarding. She said their enthusiasm for the subject inspired her to approach the class with equal passion. “There’s so many opportunities to grow as a scientist, and they gave me the motivation I need to do science and make a good career out of it,” DeCoursey said of her teachers. Kamerling, the Class of 2017 salutatorian, echoed DeCoursey’s sentiments. Kamerling, who also loaded up on AP math and science courses while at HMHS, said he anticipates taking the knowledge he’s gained at HMHS and applying it in his future studies. For both DeCoursey and Kamerling, the plan is to pursue more math and science courses in college. DeCoursey is attending the University of Florida in the fall to study physics, computer science and potentially engineering. Her goal is to one day go to space. Through what avenue, she isn’t sure yet. She said NASA, SpaceX and Google are all on her radar. Kamerling will be attending the University of Pennsylvania in the fall to study engineering. He said he pushed himself hard over the last few years to get to where he is now. In addition to taking AP courses, Kamerling played tennis, soccer and basketball and participated in Academic Challenge over the course of the last four years. He said the school’s environment is welcoming and warm, which helps everyone succeed. Kamerling said everyone works hard and wants to do well, which promotes a culture of success in education and sports. Similarly, DeCoursey said she pushed herself hard to come out on top. She said the last four years have taught her to balance her academics with other constraints on her time. Her typical week at HMHS involved classes, homework, her babysitting job and working at a parkour gym. Despite all the hard work, a highlight for both students was time spent outside the classroom, with both citing the senior trip to Disney World as one of the more memorable times with their fellow classmates. Both said throughout the last four years, and especially on the senior trip, there has been a palpable sense of community. “I feel like our class has really unified, and we showed a lot of compassion for each other, which is really nice,” Kamerling said.